Karma Woesel Doe-joe Ling Tibetan Medicine Healing Center is a registered nonprofit religious organisation incorporated in the New York State. We aim to preserve and promote the precious traditions of meditation as well as healing arts and practices of Tibet. 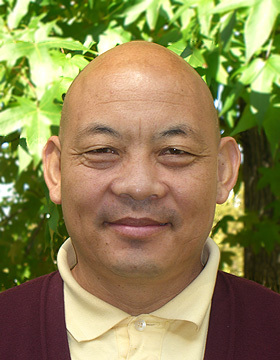 Venerable Paltul Rinpoche is the director of the Karma Woesel Doe-joe Ling Healing Center. He is himself a Barom Kagyu lineage holder, one of the major four sub-sects of the Kagyu School of Tibetan Buddhism. Rinpoche also provides teachings and empowerments based on the Medicine Buddha teachings to help you to enhance your health, and transform mental and physical imbalances into growth that is at once peaceful, healthy and spiritual.